Not only is the new comic seeing its continuation, fans will have the chance to grab a set of the first four issues in a nifty boxset. It will contain the four comics with the interconnecting Hesse covers, but as an added bonus it comes with an exclusive sketch variant of Sonic #1. Now you can catch up to Fallout in style if you miss the April releases! Collecting the first 4 issues of the hit new series! 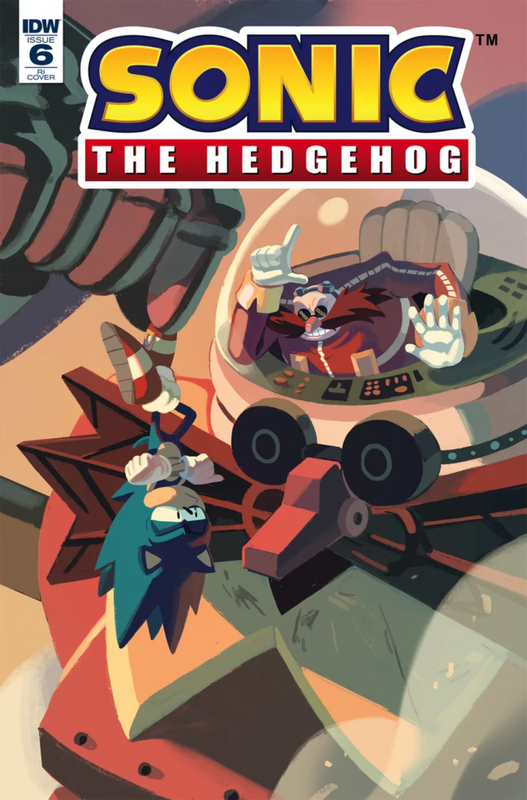 If you missed “Fallout” before, here’s your chance to hop aboard Sonic in this exclusive collector’s edition featuring the full, unaltered original art connecting covers by Tyson Hesse, plus a very special sketch variant of Sonic the Hedgehog #1—perfect for conventions or in-store signings! We will have more news about the comics closer to their release. In the meantime, the next piece of comic news should be the preview for the debut issue, so we’re about to get our first look into this brand new world. Hold on tight for then! I want to be excited because Shadow. But I don’t wanna get my hopes up for anything special.